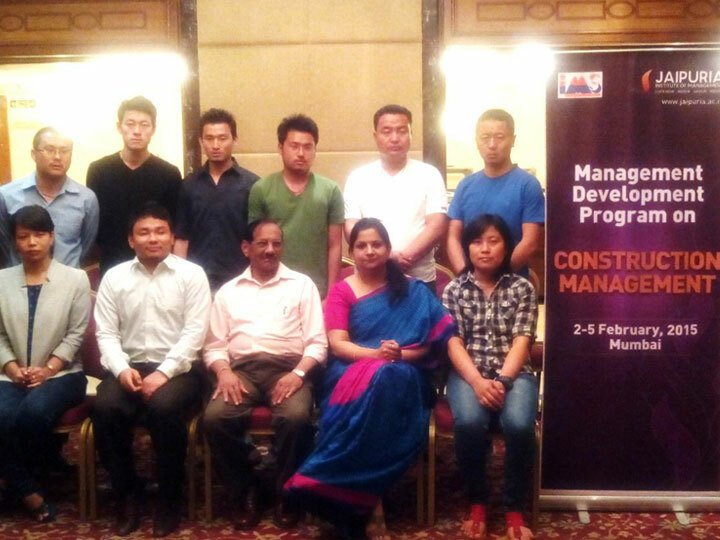 An International MDP for senior government engineers and architects of Bhutan was conducted on “Construction Management” at Mumbai 2-5 February 2015. 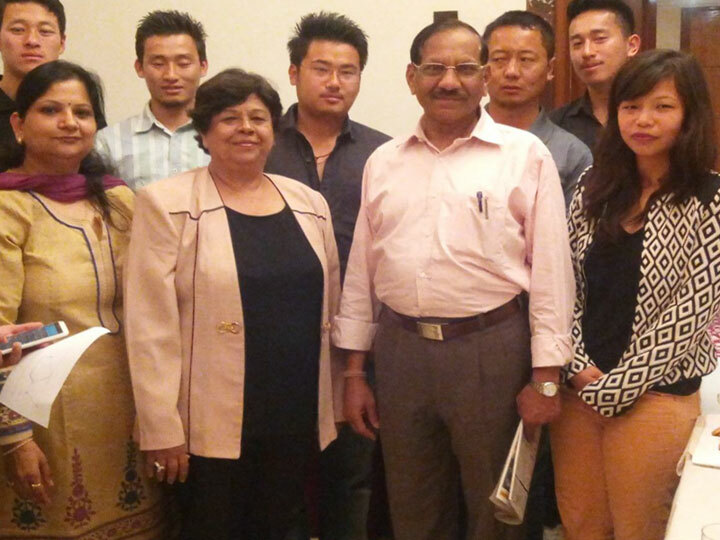 It was done in collaboration with Institute of Management Studies, Bhutan. The MDP covered various aspects on Professional Construction Management and also shared the contemporary trends in the field. The MDP was spread across four days. Shri. K.N Rai – Former Chief Executive (Civil Works & Estates) & Advisor (Sp) Defence Research & Development Organization, Ministry of Defence, M.Tech-Indian Institute Of Technology Kharagpur. Shri. Prakash Bajaj – B.Tech.from I.I.T. Mumbai in 1974. M.S. From University of Michigan, So far provided training to about 400 practicing consultants and students for usage of civil engineering software. In year 2014 joined as technical advisor to MIDAS which is South Korea based company involved in software development of various structures including buildings,bridges & tunnels. Based upon program expectations the need to have sessions on contemporary sessions was realized. To fulfill the same four guest sessions were designed with the help of experts of their own field. Session on “Planning and Structural design of buildings” by Mr. Suresh Shangvi – Shanghvi and Associates He also shared best practices through case study and organized a visit to their designing office. Session on “REVIT- The contemporary software tool” by Ms. Pervin Solomn.She is the In-charge –Computer Training Centre at the Institution of Engineers (India).She also assigned a hands-on- project to work them upon and was quite an interactive and informative session. Session on “Geo-Magnetism” by Mr. Ajay Dhar, Technical Officer – Indian Institute of geomagnetism- Under department of science and Technology, Govt. of India. He shared study of earths geomagnetism and its relation to seismic activities and causes of earthquakes. Session on “Retrofitting” by Ms. Tanuja from Sardar Patel University. She shared expertise on Repair, Retrofitting and renovation of structures. Effective management Skills – Session on effective managerial skills was conducted by Dr. Nidhi Vashishth where she covered important aspects of effective management.’ She also overall coordinated the program design and delivery of the program. Participants Profile: There were 10 participants in all and they hailed from various National Conservation projects sponsored by the government .They were on positions like Project Accountants, Store In-charges and Officers in various government projects. and around Mumbai. The participants enjoyed being in Mumbai and acquiring knowledge of latest innovations in architecture and technology prevalent in India. Culture Exchange: It was also an opportunity for us to know about the culture and traditions of Bhutan and while Bhutan is one of the smallest countries in the world, its cultural diversity and richness are profound. As such, strong emphasis is laid on the promotion and preservation of its unique culture. By protecting and nurturing Bhutan’s living culture it is believed that it will help guard the sovereignty of the nation. 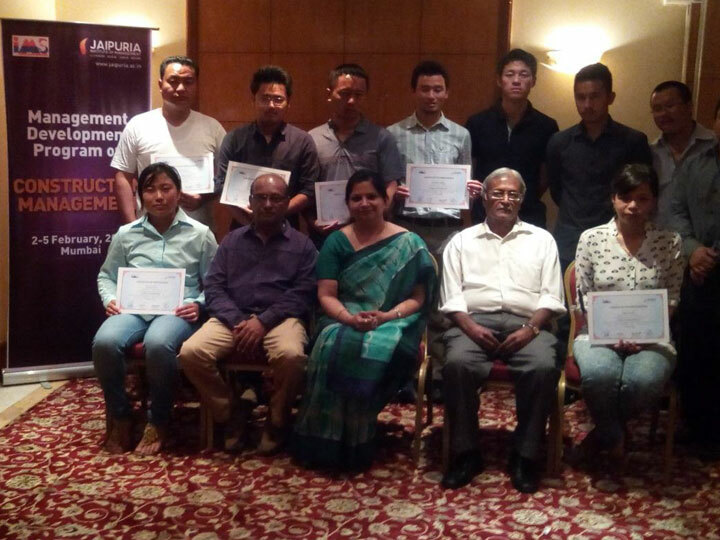 Valedictory and Certification: The program was concluded by having an open round of knowledge sharing, and key take away from the program. A pledge was also taken to ensure that they will be the change agents back in their country and contribute towards construction management back in Bhutan. 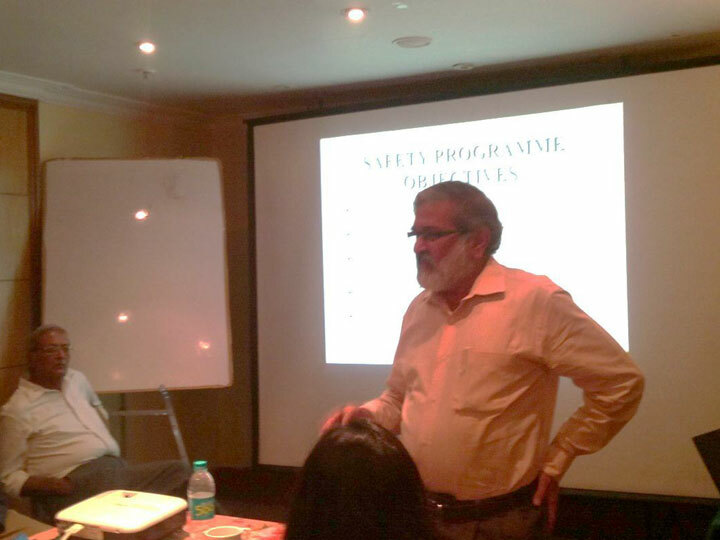 The session was conducted by Mr.Balwant Joshi an Ex-Mahindra and Mahindra officer and an active consultant and visiting faculty to b-schools. Participants Profile: There were 16 participants in all and they hailed from various National Conservation projects sponsored by the government .They were on positions like Project Accountants, Store In-charges and Officers in various government projects.